Predictably, the larger the employer, the more generous it is in covering brand name drugs either with no added cost or at least not incurring added cost when the physician notes “dispense as written.” Seventy-seven percent of plans for groups with 1,000+ employees fall in this category while only 51% of small group plans offer this benefit. Plans in the central U.S. and within the construction, agriculture, mining, and transportation industries are making the most aggressive push to generic drugs, with only 46.3% and 53.8%, respectively, providing relief for brand name drugs. While injectable drugs are often watched as a significant liability when it comes to cost containment, nearly all plans have no separate deductible for these medications. 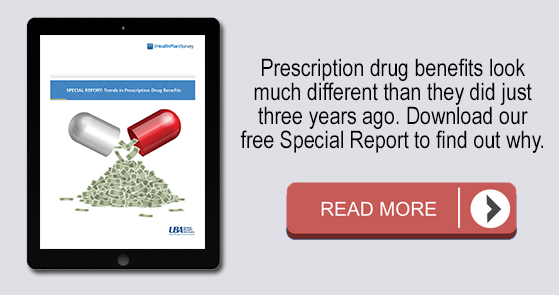 Additional tiers, coinsurance models and mail order benefits are overwhelmingly the way employers are dealing with the highest cost drugs.